Carlos Carrasco will compete for the fifth spot in the Indians starting rotation, but it would be wise for the team to sign another solid option for insurance. The hectic gift buying season is in the rearview mirror. The presents are all wrapped and placed under the Christmas tree, and the holiday celebrations have begun. In a lot of ways, the Cleveland Indians and other teams in the league have wrapped up their Christmas shopping and have closed the offices for the remainder of the holidays. But shortly after Christmas and the New Year, teams will be back at it and as busy as ever trying to swing deals in free agency and trades. The post-holiday season can be very busy for retail stores as people spend their Christmas money, return gifts, or look to clear out stores that have massive post-Christmas sales in order to clear out inventory. This is very much the same in Major League Baseball as teams will be active searching for deals on players that may have slipped through the cracks in free agency. With spring training only a few weeks away, players can get itchy to sign and their prices start to fall. The Indians are expected to very active in January. That doesn’t necessarily mean they will sign a lot of players, but they’ll have to be aggressive in their search for needs throughout the roster. They may not be big players for the top available free agents, but they should be in on a lot of the lower tier free agents that can be brought in on minor league deals. They also might just have enough room in their budget to sign one of the bigger free agents should their cost continue to plummet. Lonnie Chisenhall is expected to be the regular third baseman, but his struggles against left-handed pitching might have the Indians looking for options to upgrade. At the moment, the Indians only have a few needs. Aside from some tweaking to the roster to try and upgrade what they already have, the two biggest holes lie at third base and the need for a proven, reliable starting pitcher. Lonnie Chisenhall is expected to be the regular third baseman, but he has struggled against left-handed pitching his entire professional career both in the minors and majors. 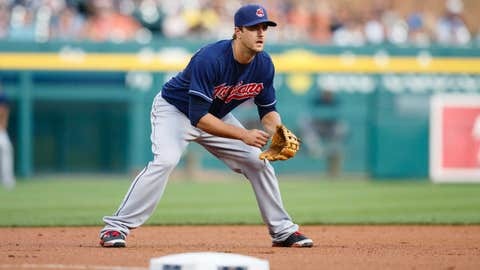 While the Indians are right to give him another shot at the regular third base gig in 2014, they also would be wise to find a suitable platoon option for him in order to limit his exposure against lefties. Last year, Mike Aviles played a good amount at third base against lefties, but he only hit .232 with a .604 OPS against them. Even with his poor year against lefties last season, Aviles is still a career .280 hitter with a .751 OPS, so the Indians may still opt to use him in that capacity; however, they will also look for other options to upgrade the role. 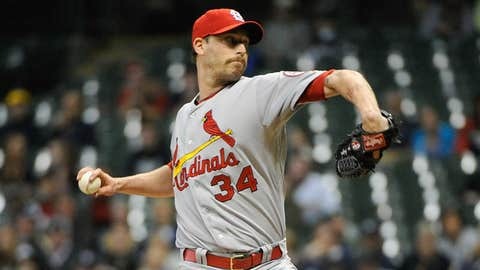 The other big hole on the roster – and the most important to try and fill – is in the starting rotation. At the moment, the Indians have a nice quartet of starters in Justin Masterson, Danny Salazar, Corey Kluber and Zach McAllister set to open the season in the starting rotation. They also have a quarter of interesting options in Carlos Carrasco, Josh Tomlin, Shaun Marcum and Trevor Bauer to fill the last rotation spot and provide depth. The Indians have already gone out of their way to publicly claim Carrasco as the leader in the competition for the final rotation spot. He is out of options so he has to make the team, and he is arguably the most talented pitcher of the four vying for the final spot. But the Indians would be wise to find a more reliable option for the rotation if one presents itself in their post-Christmas shopping quest. Aside from Masterson, there are few certainties in the rotation, which brings a lot of volatility to the most important segment to their roster, especially for a team considered to be a playoff contender going into the season. Salazar has had injury issues in the past and really only has two months of major league experience. Kluber had a breakout showing last season, but prior to that he was forgettable as a starting option. McAllister has been solid, but since returning from his finger injury last season he was not the same. Carrasco has been Jeckyll and Hyde with his big league performance over the years, Tomlin is coming off Tommy John surgery, Marcum is coming off two injury plagued seasons, and Bauer was very underwhelming last season and has command issues. 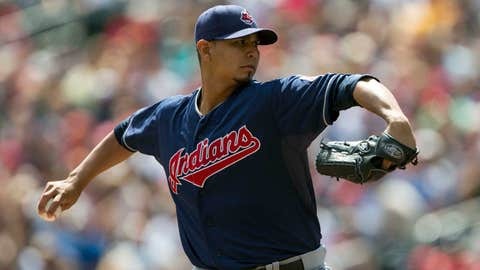 The Indians need someone that they can rely on to give them 170-180 innings next season, be durable, and compete. Such options are not cheap to acquire, but there are some on the free agent market which may interest them if their post-Christmas sale price falls low enough and fits into the Indians budget. There is little doubt the Indians will target a few more Marcum-like pitchers to bring in on minor league deals and add more depth and options to the table for little risk. Pitchers like Scott Baker, Chris Capuano, Jon Garland, Aaron Harang, Johan Santana, Jake Westbrook and others fit into this mold as cheap minor league signings or very small major league one year deals. But where they could end up active is on some of the bigger name free agent pitchers. Mashiro Tanaka has held the starting pitching market hostage for the last month, so it is hard to truly say who might slip through the cracks, but once he is posted in the next week and signs with his new team, things should really begin to move and top starting pitchers will fall off the board. Starters such as Matt Garza, Ervin Santana, Ubaldo Jimenez, Bronson Arroyo, Jason Hammel, and Paul Maholm have been stuck in a holding pattern waiting for Tanaka to land somewhere in the United States. As those starters come off the board and sign with teams that lose out in the Tanaka sweepstakes, the supply of starters may outweigh the demand. This is exactly what the Indians are waiting to find out, and if such a scenario comes to light, they may be prepared to make a late offseason strike at a starting pitcher. Whether that is someone like Hammel or Maholm, or if Jimenez slips to the Indians because teams simply don’t want to pay the compensation price for signing him, there could be someone available later in January to help fill that big need in the rotation. They did it last February with Michael Bourn, so they could do it again this February with a pitcher. It is all about finding the right value for the Indians in their post-Christmas shopping. Whether that value comes to them in the form of a bat or a pitcher, they won’t pass up on a piece they feel fits. But the priority should be to find a starting pitcher in a trade or free agency to fill the last piece to their offseason puzzle. If they can find that starter, they look to once again have a solid and deep team to contend in the AL Central and be a factor in the playoffs.